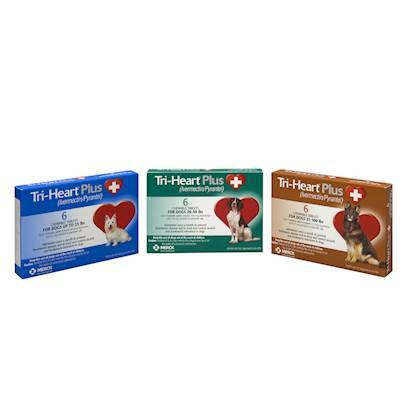 The generic version of Heartgard Plus, Tri Heart Plus will keep your dog safe from round, hook, and heartworm. Flavored like beef, your dog wont even know they are taking medicine! Rated 4.5 out of 5 by 53 reviewers. Effective Product recommended by vet. NOT chewable, my dog will NOT take! GOT A BIG DOG FAMILY? PERFECT!!!!! This product is equal to Heartgard but costs much less. Good product to protect pet's heart! Easy to administer and inexpensive! love it, price is great!!! prefer the form in liver chew. This product is a great value! Made my dog very sick! Great and effective product at a reasonable price!